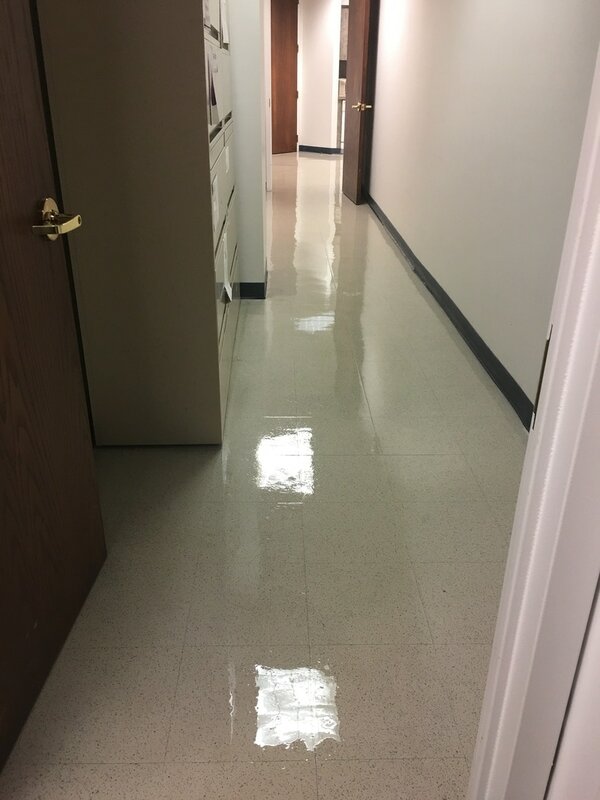 If your office floors seem perpetually dirty, with ugly wax buildup and a dull reflection, AYS Cleaning Group, Inc. can resolve this! We begin this multistep process by sweeping, dust mopping, or vacuuming all targeted floors. Next we apply stripper solution to your floors and let it sit on the surface for a few minutes. 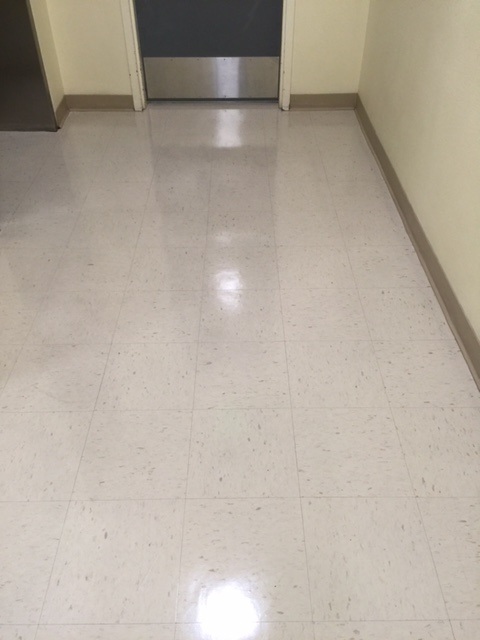 Any stubborn wax buildup hiding in floor corners is scraped by hand, scooped up, and banished. Once the stripper solution has soaked for a few minutes, we use our electric floor scrubber to remove it. 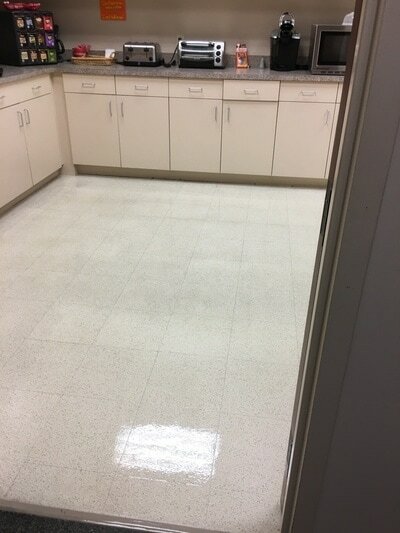 We then rinse the floor with clean water and let it dry before we begin waxing. Next, using a special mop, we then spread the appropriate number of wax finish layers. Naturally, we allow each layer of wax finish to dry before the next layer is mopped onto the floors. When the final layer of wax is dry, we use a high-speed burnisher to buff your floors to a satisfying shine. 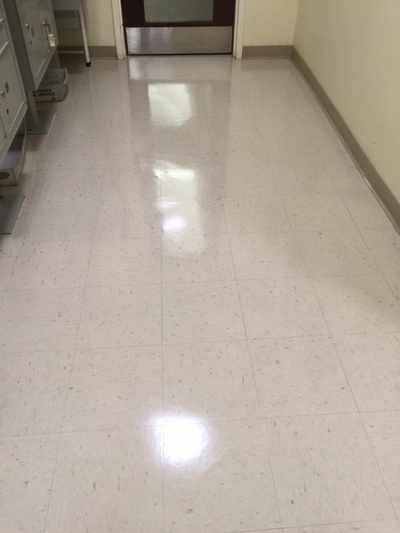 The key to keeping your floors’ freshly waxed luster is periodic maintenance, and we’re happy to help you with that. 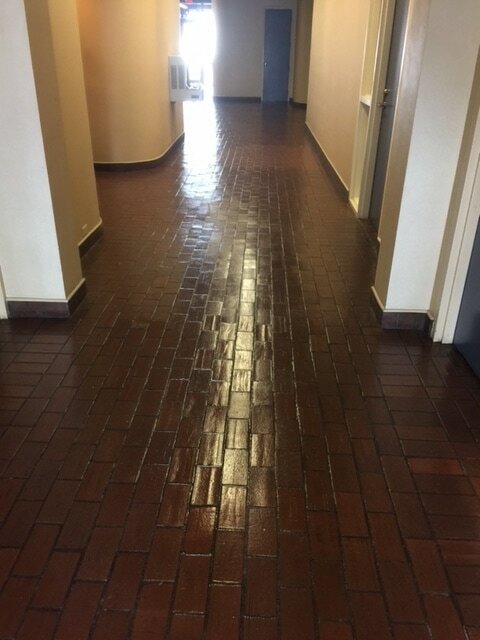 We suggest you have all waxed floors buffed every two to three months to maintain that “just recently stripped and waxed” shine. 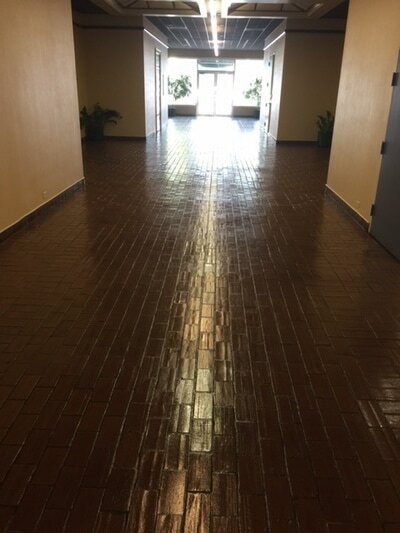 AYS Cleaning Group, Inc. hires only the most experienced technicians for its floor stripping and waxing services.